CANADA: Newly commissioned projects and higher wind resources boosted developer Northland Power's revenue in the first quarter of 2018. The Canadian company’s sales increased 33.5% year-on-year to C$486 million (US$376.9 million), it announced. Meanwhile, the developer’s operating profit (Ebitda) rose 46.5% from C$198 million to C$290 million. Electricity production from Northland’s offshore wind facilities increased 60% year-on-year, it added. 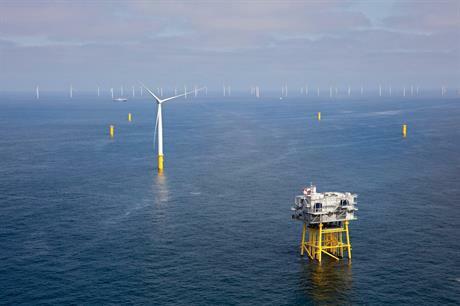 These increases were due to the 600MW Gemini project, in which it holds a 60% stake, benefiting from high wind speeds, while the 332MW Nordsee One project, which it co-owns with RWE, reached full commercial operations in December 2017. This offset the expiry of a power purchase agreement (PPA) for energy from its 110MW natural gas plant in Kingston, Ontario, Canada, Northland stated. The developer was also allocated 180MW of net capacity for Hai Long 2 wind farm off the coast of Taiwan under the country’s feed-in tariff program. Overall Hai Long 2 was allocated 300MW. Northland owns 60% of the project, which will be connected to the grid in 2024, while Taiwanese developer Yushan Energy owns the 40% remainder. Northland added that its 252MW Deutsche Bucht wind farm in the German North Sea is progressing according to schedule and budget. The project is due to be completed by the end of 2019, the developer added.